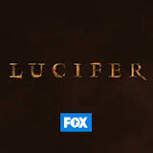 Lucifer set off on what would be a generally sluggish season by coming in 10% below last season's Gotham fall episodes. 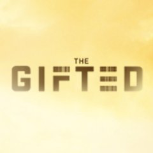 But the network made up for it with a respectable if front-loaded showing from 9/8c newbie The Gifted. Even when compared against the winter episodes of failed 24: Legacy and APB, Lucifer was a decliner (though it looked better in the early spring comparisons, which are cut out of these tables). Fox came up with another success for the 9/8c hour at midseason with The Resident, a show that started much lower than Gifted but held up really well post-premiere. And the spring rounded out a full season of declines at 8/7c and growth at 9/8c. These shows are being compared against the Gotham and Lucifer episodes from the very late spring 2017, but looked even better up against the tail end of 24: Legacy (70ish) and APB (50ish). Lucifer: Looks a little better without the two Memorial Day burnoffs (0.83 demo, 76 Plus). It definitely was not into failure territory by Fox standards, but sort of had an underwhelming feel for most of the season. It's not a huge surprise ratings-wise that it got cancelled, but it would've been a very justifiable renewal to beef up the streaming/syndication package as well. Grade: C.
The Gifted: It had a reasonably impressive first half of the fall, but by the second half of the fall it wasn't really any stronger than Lucifer in same-day ratings. (Though it was a much better DVR gainer.) It will hope for some counter-programming audience against old-skewing Tuesday competition next season. Grade: C+. 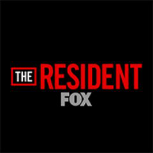 The Resident: As the fourth drama newbie in a year full of drama newbie successes, and with New Fox looming, it was gonna have to do well to get renewed. We'll never know how much cushion it really had, but it did well enough. The standard for continuing into full-fledged New Fox will be even higher, but at least it's got a shot. It gets a very narrow grade edge over The Orville because it held up just a teeny bit better at the end of the season. Grade: B+. Here's the now updated Schedules Plus for Fox Monday.